Cake enjoyment is equal parts visual appeal and palatal experience. To that end, I specialize in buttercream cakes: Swiss Meringue Buttercream, Italian Meringue Buttercream, Ermine Buttercream, American Buttercream, to name a few. I can help you select the variety that best suits your tastes. Whether you prefer something simple and classic or more ornate, together, we can create a design consistent with your vision and one that uniquely reflects the person or occasion being celebrated. 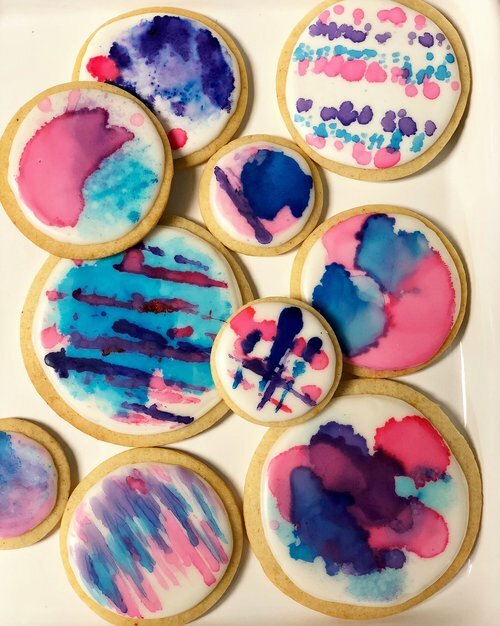 Whatever the occasion, custom cookies are always welcome. Portable, no fork required, slip one in your purse for later; cookies can supplement your dessert table or serve as a favor for guests to take with them and enjoy the next day. Flavors: Vanilla bean, lemon almond, orange cardamom, chocolate, and lemon lavender. Most custom cookies are easily able to be shipped anywhere in the lower 48.